An emergency alert system can mean all the difference for someone in a moment of need. 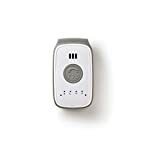 The LogicMark Freedom Alert emergency system can give you peace of mind. Whether you are using the device or buying it for a loved one, this system provides an easy way to contact help when needed. It is a wearable pendant that connects you instantly to help at the push of a button. LogicMark is a company committed to safety. 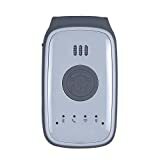 It focuses on creating personal emergency response systems with the goal of allowing people to live life independently and without worry because help is always just a button push away. The company works hard to ensure each product provides solutions and convenience. Why Should You Use This Device? The overall rating for the LogicMark Freedom Alert emergency system is four out of five stars. This system has many benefits to it, but a couple drawbacks keep it from gaining all five stars. 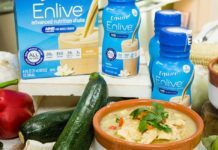 Continue reading to gain a complete breakdown of the product and learn more about how it works. 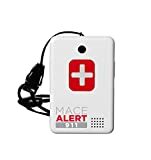 A medical alert system is a personal device, usually worn on the body, that can be used to get help in an emergency situation. 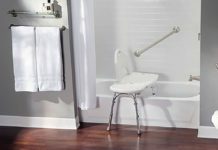 They are designed for use in the home by people who may have medical emergencies or who have limited mobility issues. They are often marketed toward seniors but can be helpful for anyone who has medical issues and may need to contact help. The LogicMark Freedom Alert 35911 system is comprised of a pendant and base station. The system works with a button push to call an emergency contact or 911. The base station requires connection with a phone line and must be plugged in for the pendant to work. The pendant is wearable on the wrist, or it can be put on a belt or attached to a walker or wheelchair. It is activated by pushing the blue panic button. If the button is pushed, the base system is activated and will place calls to the emergency contacts. The wearer talks to them through the pendant. Four contacts may be programmed into the system. It tries the contacts first, and if none of the calls are answered, it then calls 911. To avoid confusion with voicemail systems or other issues during calls to emergency contacts, the system requires the person answering the phone to dial five to indicate the call has properly connected. It is also possible to set up the system to call only 911 or only the emergency contacts. This option is set up easily using a switch on the base. FreedomAlert is not a subscription service. Once you buy the system, you do not have to pay monthly fees to keep it working. You set the system up and can begin using it right away with nothing more to pay ever. In addition, the system has an emergency backup that keeps it running for 24 hours in case of a power outage. The pendant battery provides one hour of talk time per charge. It lasts four to six months without use. It comes with two batteries, so one is always charging on the base when the other is in the pendant. The system also provides voice announcements that guide you through setup and allow you to check the battery. The system works with up to four pendants, which is good if there are multiple people in the home who may benefit from having a pendant. It also is water-resistant, so it can be worn in the shower. Finally, it is approved for use in Canada and all 50 states. It is important when using the system to do battery checks on a regular basis. In addition, the pendant should always be worn so it is within reach at all times. When you first get the system, you should test it out and familiarize yourself with the different parts and features so you know how to use it when a real emergency happens. The LogicMark Free Alert system allows you to be more independent in your own home. If you have a history of falls, health issues or mobility problems, this system gives you and your loved ones peace of mind. 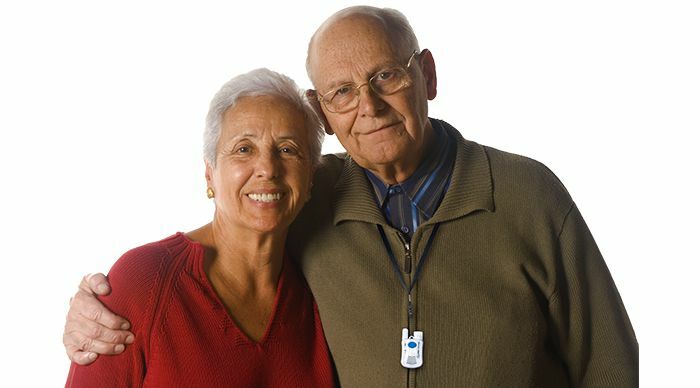 If you are concerned about your health problems but don't want to have to hire an in-home caregiver or move into a nursing home, you are able to safely live by yourself because you can call for help without trouble. You also get to determine the people who will be your emergency contacts and choose whether the system will call 911 or not. It also has a 911 forwarding feature that allows your contact to dial 911 while still on the line with you to connect you with 911 in serious situations. With this system, you always know help is one button push away. 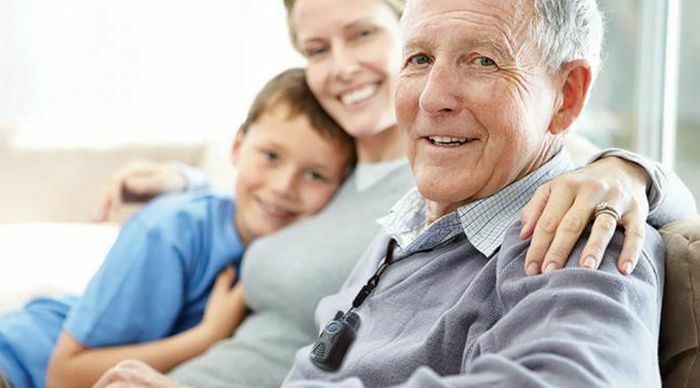 Seniors are the main target group for using emergency alert systems because of the health issues and mobility problems that may come with age. They are more likely to have problems that could lead to falls or other emergency situations where they could not get to a phone. However, this is not the only group that can benefit from these devices. A person who has issues with dizziness or drowsiness. The device allows you to connect with help right away. 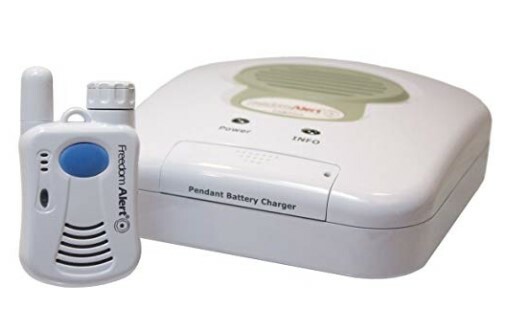 It provides a way to always be connected so you do not have to worry about being alone during a medical emergency. Everything you need to set up your system is in the box. Once you plug in the base unit, it will lead you through the rest of the setup using a voice-activated prompt. The system costs a little under $200 with no monthly fees and has received top star ratings from customers with an average rating of four out of five stars. The base is the control center for the whole system. 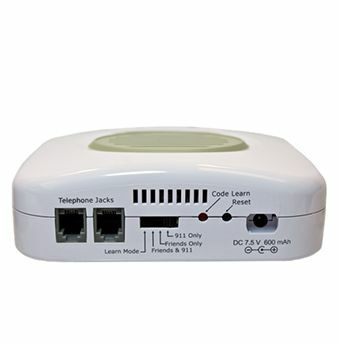 It is connected to a power supply and to the telephone line, which enables it to make calls. It also allows for programming of the overall system. The pendant is what makes the system work. It is carried by you so it is always within reach. Pushing the button on the pendant sends the base into action to make calls. The pros of this system tend to outweigh the cons. Having only the one-time cost is a huge draw for many users, as paying a monthly subscription fee can get costly. In addition, many other systems require you to talk to an emergency person who then relays information, but the LogicMark Freedom Alert allows you to talk directly to whomever you call. With voice-led setup, it can be easy to get the system up and running. On the downside, though, if you want to take a bath, you will have to remove the pendant. However, it can work fine in the shower. Finally, you must pay attention to the pendant battery to ensure it is charged or the system will not work. Customer reviews for the LogicMark Freedom Alert give it four out of five stars. Customers really like that it is not a subscription service but offers the same peace of mind as one. They also sing the praises of how easy it is to use and set up. They say the system is reliable and works just as it is supposed to. 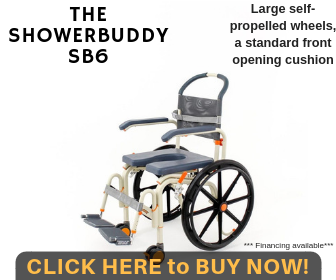 The range is another thing people like about this; reviewers say it could reach up to 200 feet and definitely works well within 150 feet of the base unit. The main drawbacks of the system mentioned by consumers were the need to keep an eye on the battery power to ensure the system is working and the bulkiness of the device. There is a lot of competition in the area of emergency safety devices. The top competitor for the Freedom Alert is Lifelink's Prodigy medical alert system. The systems are fairly comparable when it comes to operation and overall function. However, Lifelink has a leg up when it comes to the weight and bulk of the pendant, as its pendant is lighter. It also wins when it comes to being waterproof because it is completely waterproof, whereas LogicMark's pendant is not. 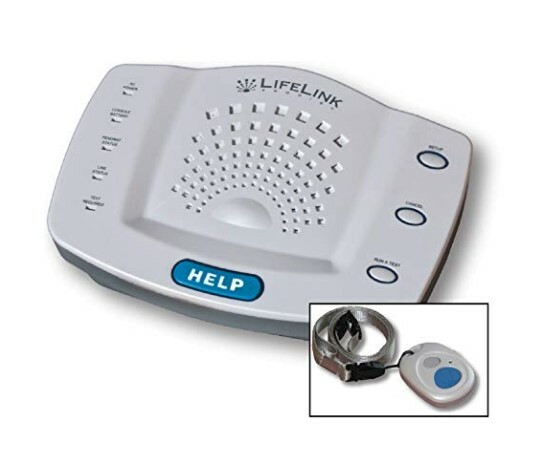 However, LogicMark has a speakerphone, whereas Lifelink does not, which is huge for many customers. 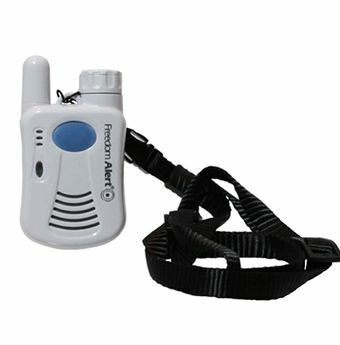 The LogicMark Freedom Alert emergency system is a great choice for the budget-conscious consumer. Compared to other systems like the Bay Medical Alert, LogicMark holds up well. 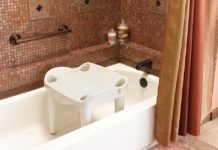 While it is designed with seniors in mind, anyone who could need emergency access to help can benefit from the product. With its one-time cost and lack of monthly fees, it makes for the ideal solution for many people who do not want to be tied down to a subscription service. It is easy to setup and operate. Finally, the system works as it should, and consumers love how reliable it is, giving it high ratings and strong praise in reviews. If you are looking for a system like this, then LogicMark Freedom Alert is highly recommended as a solution for you. 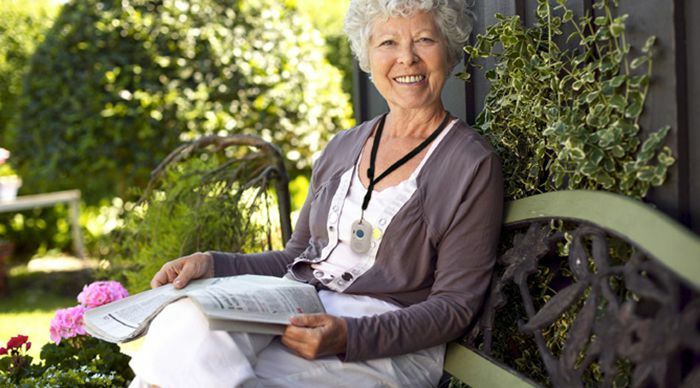 The LogicMark Freedom Alert system allows you to be more independent in your own home. If you have a history of falls, health issues or mobility problems, this system gives you and your loved ones peace of mind. It is not a subscription service, so once you buy the system, you do not have to pay for any monthly fees to keep it working. It also comes with great features which allow you to connect with help right away. However, the disadvantage of LogicMark is that the device cannot be submerged in the water despite it being water-resistant and you must pay attention to the pendant battery to ensure it is charged or the system will not work. Next articleTop Countries Where People Live the Longest: Why Do They Live Longer?